Not too much to say this time around. This comic was a bit easier than usual. Two characters, minimal background, no caricatures. I was thinking about adding more background elements (clouds, mountains, etc. ), but I wanted the comic to have the feeling of stark cold and figured a more simplified background would do the job better. 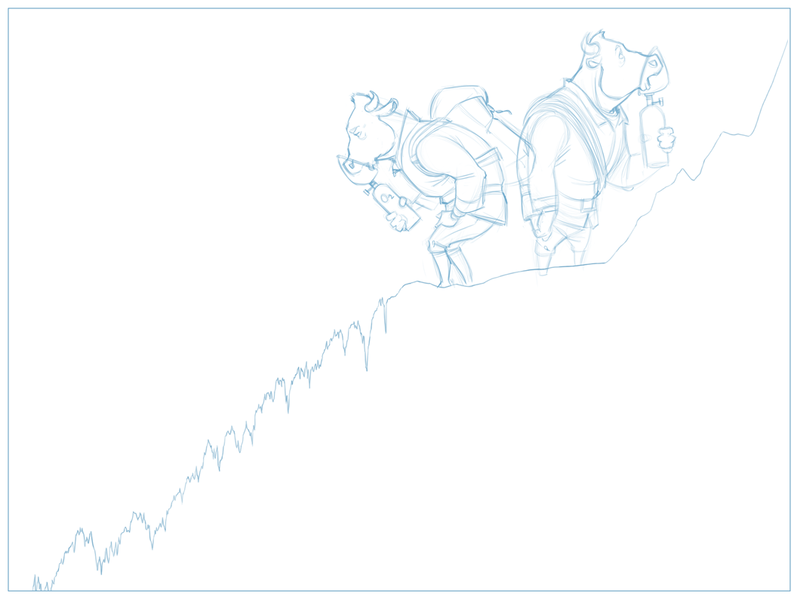 Also, I needed the line of the chart/mountain to be clearly visible and an uncluttered background was a better option for that. 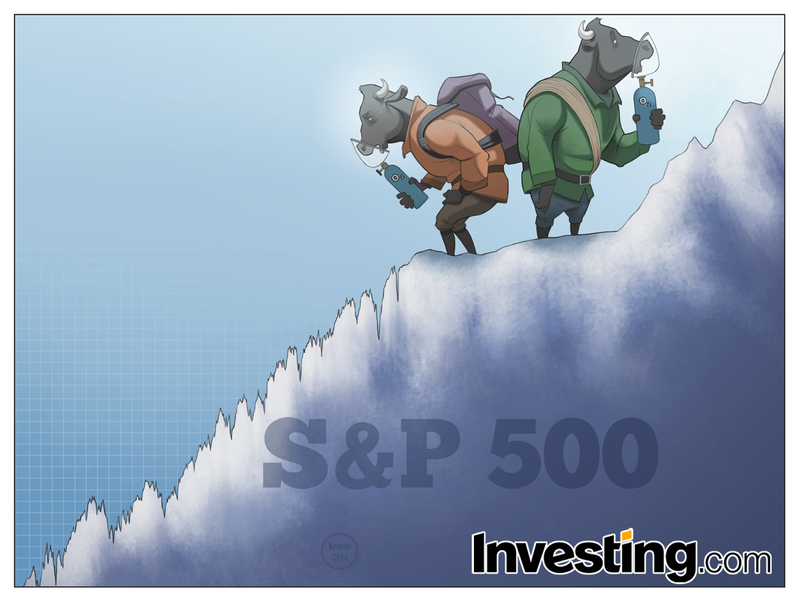 At the last minute, I added the grid to reinforce the idea that the outline of the mountain doubles as the 2014 S&P Chart. So there we have it. Probably my last comic for Investing.com in 2014. Not a bad way to finish out the year.